U.S. personal income fell for the first time in more than three years in January as dividends and interest payments dropped, pointing to moderate growth in consumer spending after it fell by the most since 2009 in December. The report from the Commerce Department on Friday also showed inflation pressures remaining tame, which together with slowing domestic and global economic growth gave more credence to the Federal Reserve's "patient" stance towards raising interest rates further this year. Personal income slipped 0.1 per cent in January, the first decline since November 2015, after jumping 1.0 per cent in December. Income was weighed down by decreases in dividend, farm proprietors' and interest income. It reported that consumer spending, which accounts for more than two-thirds of U.S. economic activity, dropped 0.5 per cent in December. That was the biggest decline since September 2009 and followed a 0.6 per cent increase in November. Households cut back on purchases of motor vehicles and recreational goods in December, leading to a 1.9 per cent plunge in spending on goods. Spending on goods increased 1.0 per cent in November. Outlays on services edged up 0.1 per cent, held back by a decline in spending on household electricity and gas. Spending on services advanced 0.4 per cent in November. The nation's gross domestic product, the broadest gauge of economic health, expanded at a 2.6 per cent annual rate in the October-December period, the government said Thursday. That was down from a 3.4 per cent rate in the July-September period and a sizzling 4.2 per cent pace from April through June. During those months, the economy benefited from tax cuts and from higher government spending, the gains from which are thought to be fading. 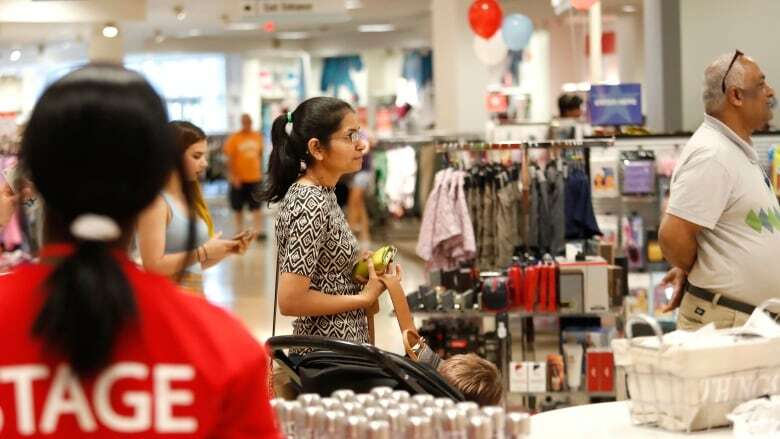 Most economists foresee slower growth ahead, pointing to slowing consumer spending. For the current January-March quarter, many analysts say they think growth could slow to a 2 per cent annual rate or less. A trade war between the United States and China, higher interest rates, softening global growth as well as uncertainty over Britain's exit from the European Union are also negatively affecting the economy.